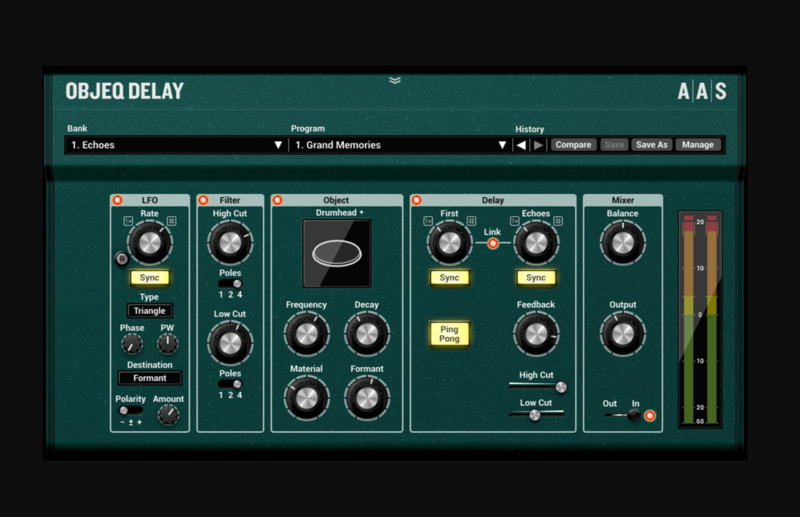 Delay is easily one of the most important effects needed to create dynamic and rhythmic tracks. Subtly, it can add space, aggressively, it can make instruments pop out of the speakers. 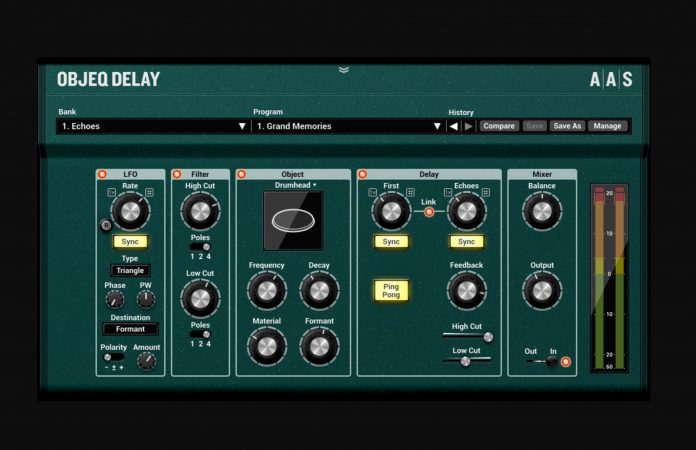 I’m always game for a unique approach to effects and Applied Acoustics Systems have thrown a new element into delay. Montreal, Quebec—April 11, 2017—Applied Acoustics Systems today announces the release of Objeq Delay, an all-new effect processor.